Mark Adams is a former Royal Marine. Patrick Bishop is a noted author on military subjects and a war correspondent, working for many years on the Daily Telegraph. His books include the immensely influential 3 PARA. Afghanistan, Summer 2006 THIS is War (2007) and (with Eamon Mallie) The Provisional IRA (1987). John Brannigan lives in Belfast and teaches English in University College Dublin. His most recent book is Archipelagic Modernism: Literature in the Irish and British Isles, 1890-1970 (2015). Gordon Campbell is a traveller, scholar and former Foreign Office adviser. His most recent journey was to Greenland, where the edges of the retreating dead ice are teaming with life. He is also a noted linguist, an authority on the Renaissance period and a biographer and editor of John Milton. Tony Crowley is Professor of English at Leeds. Born and raised in Liverpool, he has published widely on the politics of language and the murals of Northern Ireland. His latest publications include The Liverpool English Dictionary (2017) and the online archive: ‘The murals of Northern Ireland 1979-2017’. Damian Walford Davies is Head of the School of English, Communication and Philosophy at Cardiff University. His most recent books include, as editor, Roald Dahl: Wales of the Unexpected (2016) and the poetry collections Judas (2015) and Alabaster Girls (2015). Forthcoming are the co-edited volume Romantic Cartographies and the edited collection Counterfactual Romanticism. Douglas Dunn is the author of more than ten collections of poetry, including his latest The Noise of a Fly (2017). 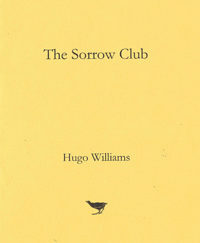 He was awarded the Queen’s Medal for Poetry in 2013. Until recently he was a Professor of English at the University of St Andrews. Peter Gill has been a foreign correspondent for most of a career and has covered his fair share of wars. His first was the Indo-Pakistan war of 1971 for the Daily Telegraph which led him on East to the American war in Vietnam. He was one of the few correspondents to stay behind in Saigon after the Fall. For ITV current affairs he made a series of films in Afghanistan during the Soviet occupation of the 1980s. He went back recently to research a book on aid workers and the ‘war on terror’, his fifth book on the aid industry. Vesna Goldsworthy is Professor of Creative Writing at the Universities of Exeter and East Anglia. She has authored five internationally bestselling and award winning books, two of which – a memoir, Chernobyl Strawberries, and a novel, Gorsky – have been serialised by the BBC. 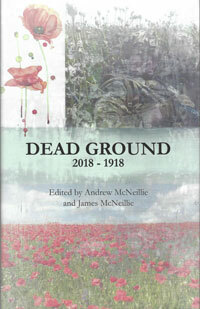 John Greening’s recent books include a memoir of two years in Egypt, Threading a Dream, an edition of Geoffrey Grigson’s poetry, and his own collection, To the War Poets. He edited the OUP edition of Edmund Blunden’s Undertones of War. Paul Hodgson was born in Shrewsbury in 1972. A graduate of the Royal College of Art, he is a visual artist who creates hybrid works that incorporate paint, digital print and photography. Solo exhibitions include Marlborough Fine Art, London; University of Cambridge; and Feigen Contemporary, New York. Andrew Kahn teaches Russian literature at Oxford. 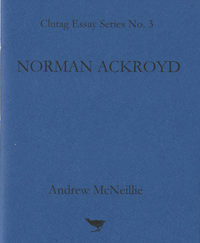 He has written about the politicisation of Mandelstam’s Anglo-American reputation in the West during the Cold War and, with Kenneth Haynes, a study of Geoffrey Hill’s engagement with Mandelstam’s poetry. He has published book about Alexander Pushkin and is co-author of the History of Russian Literature (2018). Tim Kendall is Professor of English at the University of Exeter. Author of several books on modern poets, he has also edited an anthology of First World War verse for OUP and The Norton Anthology of Poetry. He is presenter of a documentary on Ivor Gurney, and Producer of a documentary on Sylvia Plath (both BBC). James Macdonald Lockhart’s first book, Raptor: A Journey Through Birds was published in 2016. He lives near Oxford. Don McCullin is a photojournalist of world renown, celebrated for his courage and compassion, in covering both war and social hardship, producing images of iconic status. He was knighted in 2017. Patrick McIlroy is a former Royal Marine. Kate McLoughlin is a Professor of English Literature at the University of Oxford. She is the author of Veteran Poetics: British Literature in the Age of Mass Warfare (2018), Authoring War: The Literary Representation of War from the Iliad to Iraq (2011) and Martha Gellhorn: The War Writer in the Field and in the Text (2007). In 2009, she edited The Cambridge Companion to War Writing. 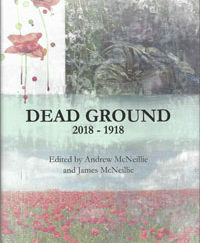 Andrew McNeillie is a publisher and runs the Clutag Press which also publishes the literary magazine Archipelago under his editorship. His most recent book of poems Making Ends Meet was published in 2017. He is an Emeritus Professor of Exeter University. James McNeillie is a lawyer. Leo Mellor is the Roma Gill Fellow in English at Murray Edwards College, University of Cambridge. His first book was Reading the Ruins: Bombsites, Modernism and British Culture (2011) and he also recently edited a special issue of Critical Quarterly on ‘the long 1930s’. Andrew Motion is the co-founder of the Poetry Archive and was UK Poet Laureate from 1995 to 2009. He is now Homewood Professor of the Arts at Johns Hopkins University and lives in Baltimore. Jeremy Mynott is the author of Birdscapes: birds in our imagination and experience (2009), Thucydides (2013), Knowing your Place (2016), and most recently Birds in the Ancient World: winged words (2018). He is a founder member of ‘New Networks for Nature’. Seamus Perry is a Fellow of Balliol College, Oxford, where he is Tutor in English Literature. He is, with Christopher Ricks and Freya Johnston, editor of the journal Essays in Criticism. Nicholas Pierpan is a playwright, screenwriter, and poet. He is a lecturer in Creative Writing at Royal Holloway, University of London, and the Creative Arts Fellow at Wolfson College, Oxford. Sean Power is a former soldier and photographer. Alan Riach is Professor of Scottish Literature at Glasgow University, general editor of Hugh MacDiarmid’s collected works, and author of numerous articles and books, including co-editorship of The Edinburgh Companion to Twentieth-Century Scottish Literature (2009) and Scotlands: Poets and the Nation (2004). Like MacDiarmid, he has published acclaimed English-language versions of the great Gaelic poems of the eighteenth century: Duncan Ban MacIntyre’s In Praise of Ben Dorain (2014) and Alasdair Mac Mhaighster Alasdair’s The Birlinn of Clanranald (2015). 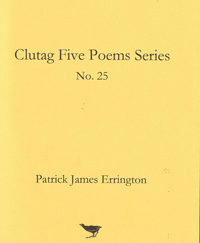 His most recent collection of poems The Winter Book appeared in 2017. Christopher Ricks, a Professor of Humanities at Boston University, was Professor of Poetry at Oxford University 2004-9. Widely acknowledged to be our greatest living literary critic, he is also an editor, notably of Tennyson and T. S. Eliot, and currently of the writings of the Victorian lawyer, judge and essayist James Fitzjames Stephen. He is the author of a pioneering major study (2004)of the songs of 2016’s Nobel Laureate for Literature Bob Dylan. Christopher served in the British Army, with the Green Howards, in Egypt 1953-4. Ian Ritchie is a Royal Academician and elected member of the Akademie der Künste. He leads one of the world’s most original and influential architectural practices. He is Visiting Professor of Architecture Liverpool University and has chaired many international juries including the RIBA Stirling Prize. Ian has written several books, including poetry, and his art is held in several international galleries and museums. Fiona Stafford is Professor of English at Somerville College, Oxford, where she works on Romantic literature, Scottish and Irish poetry, Literature and the Visual Arts, Nature Writing, new and old. Recent books include Local Attachments (2010), Reading Romantic Poetry (2012), The Long, Long Life of Trees (2016), Jane Austen: A Brief Life (2017). She is currently writing the Romantic Period volume of The Oxford History of English Literature and a brief book about flowers. Peter Stothard is a classicist and the author of four books of memoir, most recently The Senecans: Four Men and Margaret Thatcher. He is a former editor of The Times and the TLS. ‘Henry and Herbert’ is from work in progress on his next book, Romans and Britons: From the Beatles’ first LP to Brexit. Alice Spawls is an editor at the London Review of Books. She writes about art and other things for the LRB, the NYRB, the Guardian, FT, TLS (where a version of this essay first appeared) and Apollo. She is a cofounder of Silver Press, which publishes neglected or under-esteemed writing by women. Brian Turner is an American poet and essayist. He served in the US Army in Iraq and in Bosnia and Herzegovina. 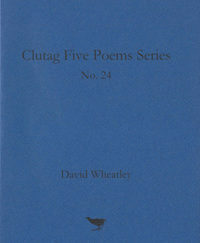 His award-winning debut collection of poems Here, Bullet (2005) was followed by Phantom Noise (2010), a book shortlisted for the T. S. Eliot Prize. My Life as a Foreign Country: A Memoir was published in 2014. He is Director of a Master of Fine Arts program at Sierra Nevada College at Lake Tahoe.